MIAMI - American Airlines has returned to profit in the first quarter after the merger with U.S. Airways. The U.S. carrier had 480 million dollars in profit in late March. The revenue rose firmly, the merger company announced today. 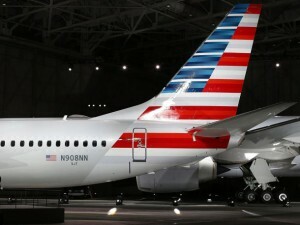 American Airlines merged in December last year with rival U.S. Airways in an effort to avoid bankruptcy. End of the fourth quarter, both companies presented a combined loss of nearly three hundred million dollars. Since the merger, American Airlines have been the largest airline in the world. Earnings in the first quarter, traditionally the weakest quarter for companies, is for both the American and former U.S. a record. Analysts had expected a profit of 350 million dollars. Sales were ten billion dollars, which is a fraction lower than expected. However, revenues were 5.6 percent higher than last year.